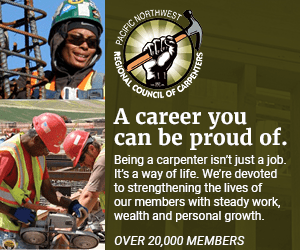 WASHINGTON (NNPA) – The Black unemployment rate climbed from 10.7 percent in June to 11.4 percent in July, an increased attributed to more African Americans looking for work and finding it. The Labor Department reported that the national unemployment rate increased from 6.1 percent in June to 6.2 percent in July. The labor force participation rate, the pool of people either hunting for jobs or currently working, also increased from 62.8 percent in June to 62.9 percent in July. “People who put themselves on the bench are now saying, ‘I’m coming off the bench, I want to try and find a job now,’” said William Spriggs, chief economist for the AFL-CIO. Spriggs, former Assistant Secretary of Labor in the Obama administration said people are taking action because jobs are being created. “People are actually feeling it,” he explained. Even though, the unemployment rate for Black men over 20-years-old rose from 10.9 percent in June to 11.1 percent in July, the labor force participation rate jumped from 67.5 percent in June to 68 percent in July, indicating that people are feeling better about their chances of finding work. Meanwhile, the jobless rate for White males over 20-years-old decreased from 4.9 percent in June to 4.8 percent in July, and the share of workers in that group who were looking for jobs or currently employed also decreased from 72.3 percent in June to 72.2 percent last month. The jobless rate for Black women over 20-years-old leaped from 9 percent in June to 10.1 percent in July. Meanwhile, the jobless rate for White women over 20-years-old edged up slightly from 4.8 percent in June to 4.9 percent in July. Like Black men, more Black women were actively seeking jobs and getting hired. The labor force participation rate for Black women rose from 61.4 percent in June to 62.3 percent in July, compared to White women who saw their participation rate edge down from 58 percent to 57.9 percent in July. Stone also noted that Congress made it tougher for millions of jobless Americans when lawmakers allowed emergency unemployment benefits to expire last December. Not only do Blacks suffer high rates of unemployment, they often endure high rates of long-term unemployment, as well. Emergency unemployment insurance helps people stay afloat as they continue their job hunt. Researchers at the Economic Policy Institute said that July’s jobs report “showed decent growth,” but the 209,000 jobs that were added last month were a steep decline from the monthly average of 277,000 jobs added during the second quarter. “Even at 209,000 jobs it would still take four years to get back to where we were. In another less severe recession, 209,000 would be great numbers but given the depths that we’re coming back from, we’re going to need a little more than that to get back to full strength more quickly,” said Wilson.